Logout and go to the login screen. Confirm that the layout is correct with no blocks and one content area that fills the screen 100% - FireBug should show that the area does. This is a test for 'column1.php'. Login and go to the 'Purge All Caches' screen because it uses the 'admin' layout as defined in 'bootstrapbase/config.php' which uses 'column2.php'. Confirm that with a LTR language the blocks are on the left. 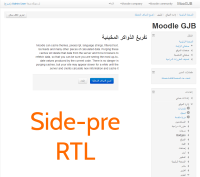 Switch to a RTL language and confirm the blocks are the same but are now on the right. Temporarily edit 'bootstrapbase/config.php' and change the 'side-pre' to 'side-post' value for the 'admin' layout for both the 'regions' and 'defaultregion' array keys (save changes). 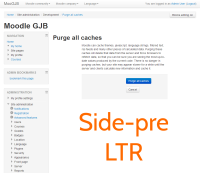 Refresh the 'Purge All Caches' page, still with the RTL language enabled, confirm that the blocks are now on the left and no errors occur. Switch back to a LTR language and confirm the same blocks are now on the right and no errors occur. As requested by Damyon Wiese, this is now a late addition to MDL-39824 as it ha been integrated. It does solve the original issue too and impoves the solution in MDL-39824 with less code changes and smaller layout files. 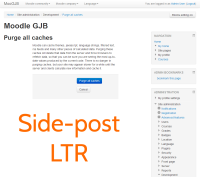 There is an error in the logic of bootstrapbase and clean themes layout. general.php which results in side-pre always being output, even if the $THEME->layouts for the page affected excludes side-pre. Lines 143-162 have the error in bootstrapbase/layout/general.php, and lines 172 to 202 have the error in the clean theme. The logic error is that the code tests to see if $layout is not content-only. 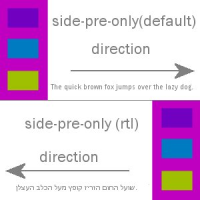 If true then the code renders the html for pre-and-post or for side-pre-only, and drops by error into "if (!right_to_left())" regardless of what $layout is set to. Therefore if $layout is set to side-post-only there is no HTML code generated, but "echo $OUTPUT->blocks_for_region('side-pre')" is executed regardless. 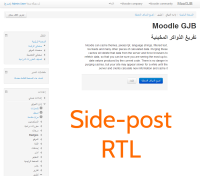 Now you get the Theme header but before you get to the main body Moodle throws an exception - "Coding error detected, it must be fixed by a programmer: Trying to reference an unknown block region side-pre"
The error should be corrected. NOTE: There appears to be another bug but I will raise a second issue for that one. The problem is, if blocks are configured to appear in side-post, then when the $THEME-layout for a page says only use side-pre, the blocks disappear when using theme Clean. This doesn't happen with theme Standard. Please link this other issue as it may be related.